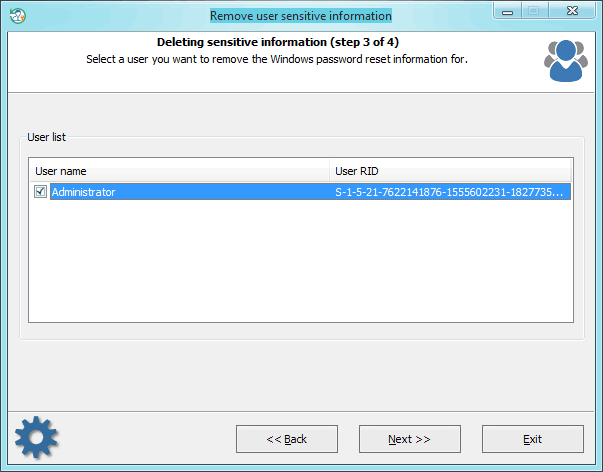 Password hints are stored either in the SOFTWARE registry (Windows XP, Windows 2003) or in the SAM file (Windows Vista and higher OS). The decryption will also require the SYSTEM file. Select the user whose hint is to be cleared from the system and then follow the final removal dialog.